You are here: Home › Tips for your website › Is growing the traffic is a part of website maintenance? I have recently met some business owners, some people who don’t care about their website places. They don’t even think about their website maintenance. And after a few months of their online operation, they now feel depressed with the progress of their sites. In this case, they search for the possible ways to change the scene. They want more traffic rolling in and the traffic coverts into money. But mate, to you who have been through the same scene- I can tell, if you don’t care about the people coming to your site, they are not gonna come back to your place again. So, you must consider website maintenance as a major part of growing business. This is the commonest point of view. But, I haven’t told about the other side of the sphere. You must learn this as soon as possible. You have to know that growing the traffic to your site is a part of website maintenance. You might never expected this statement right? Well, I can explain. First of all, when you are concerned about website maintenance and you do it professionally, you are definitely thinking about the potential clients. You know the searches made by your visitors. This makes sure that you keep things in a row so a visitor can find it without any hassle. So, once you have grown your traffic, you are also considering website maintenance even better. Now, thing about a real business, an offline business; say, you have a store. You must know what the customers are looking for, you have to know that the people are searching for a specific item. Here, you have to put up the product in front so that they can get the product faster. This is called store maintenance. And in case of an online hub, this can be called website maintenance. Now, you have to come to another point. You must know what you are capable of. You should have a clear idea of what you can do and what you are expected to do. This can only be learned in some assumptions before you go to an operation. Growing up the traffic will let you know your level and your competency. You will learn different aspects of your online store, or, a simple website. If you don’t know the limits, there can be serious mishaps. So, growing your website will help you to know yourself. This will turn the whole thing to a positive side. 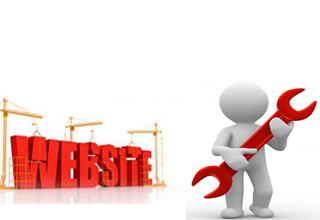 In these cases of professional website maintenance, you have to professional with your operation. You have to have an inhouse team to help you, or, get some professionals to help you in this issue. There are many companies, but try to pick up whom you can rely on. Try to get the best people to work for you. Again, choosing the right Resource is also a part of website maintenance. Consider what I said before taking a decision about website maintenance.